The attack on Pearl Harbor brings war to the U.S. Navy, and cues the varied destinies of an epic-full of colorful characters. 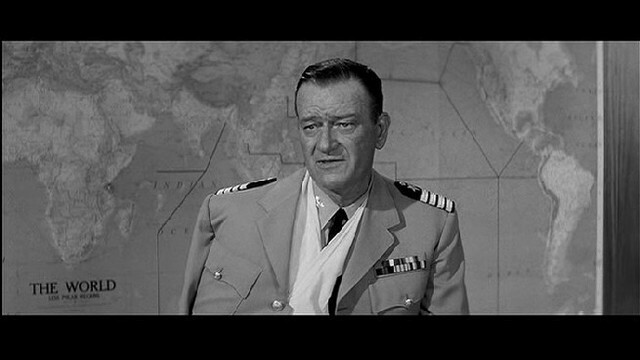 Captain Rockwell Torrey (John Wayne) has the good fortune to be out of port when the raid begins. 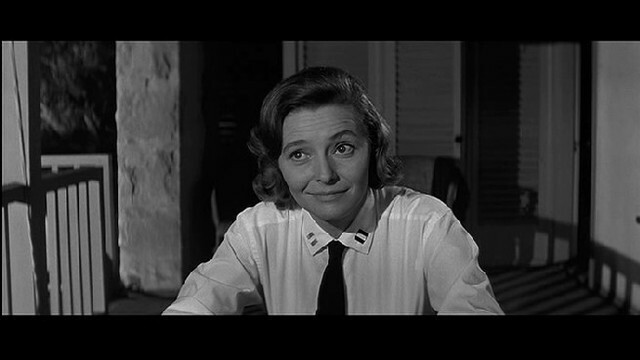 While Commander Kimmell (Franchot Tone) takes the fall for the loss of the fleet, Torrey hangs on, and with the help of Commander Egan Powell (Burgess Meredith), a screenwriter-turned intelligence man, and friendly nurse Lieutenant Maggie Hayes (Patricia Neal), he weathers the post-Pearl career storm to become one of the key fleet commanders in the South Pacific campaign under Admiral Nimitz (Henry Fonda). Further down the chain of command, Torrey’s trusted aide Commander Paul Eddington (Kirk Douglas) falls apart after the death of his faithless wife (Barbara Bouchet), and proceeds to display erratic behavior, especially his undesired attentions to young nurse Ensign Annalee Dorne (Jill Haworth).It so happens Dorne has an interest in Torrey’s estranged son, Ensign Jere Torrey (Brandon De Wilde). Jere’s hostility toward his father results in his assignment as aide to sleazy public relations lizard Commander Neal Owen (Patrick O’Neal), who rides the coattails of incompetent Admiral ‘Blackjack’ Broderick (Dana Andrews), a screw-up who Torrey must gently indulge. Battling the Japanese and weathering enough subplots to float a battleship, Torrey’s island-hopping campaign races toward a head-on naval clash with the enemy fleet.